SPRING SALE: $10 OFF AND $20 OFF. LEARN MORE. FREE SHIPPING ON $25+ ORDERS. LEARN MORE. Otherwise, only $2.99 in the U.S.
From the My Account page, you can manage your account information, manage your addresses, view orders, manage subscriptions, view your accrued boldREWARDS, and update your payment methods. Create an account today and get 100 free reward points (a $5.00 value) to use on your next purchase. 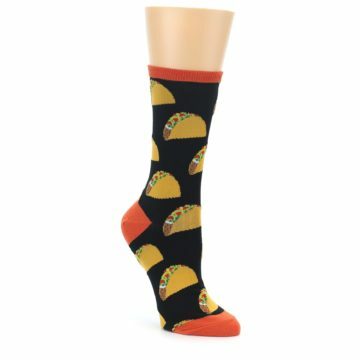 In addition, earn boldREWARDS for every dollar spent on boldSOCKS.com. Simply create an account and you are ready to start earning points. 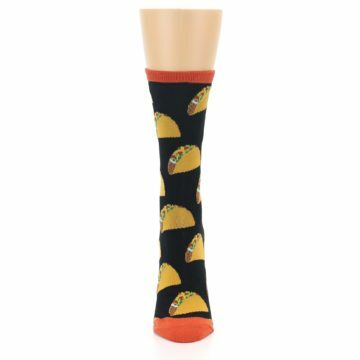 Brand: Socksmith - unique novelty and high quality products for both men and women. Socksmith features a wide array of creative novelty designs for both men and women, including many different licensed products, such as Rubik's Cube and Coca-cola. The most commonly-used natural fiber used today, cotton is a breathable, soft textile that is both comfortable and durable. The classic dress sock. These are your everyday, not-too-high-but-not-too-short socks. Make sure you show them off! You've got endless choices in this thickness. These socks are comfortable, not too bulky, and high quality. Go nuts! 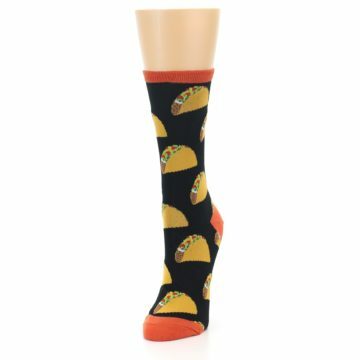 These socks are the boldest of the bold and are guaranteed to stand out from the crowd. There are not yet any reviews for Black Tacos Women's Dress Socks. You must be logged in and have purchased this product in order to write a review. We'd love to know about your experience using our website, leave us a review. If you have questions, concerns, or comments you'd like to tell us directly, contact our team! 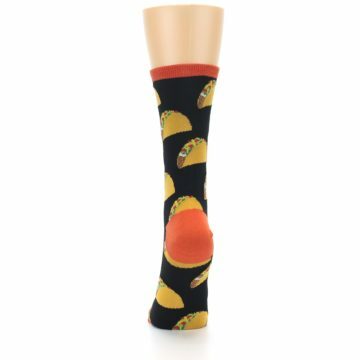 Boldsocks immediately answered the question I had and resolved the problem quickly. I'm impressed. The transaction was excellent. They have a very good website and they have the most excellent selections of socks that I have ever seen on or off the Internet. Their sock are of excellent quality. Anytime I buy a new shirt or pair of short pants boldSOCKS is my source to find a matching pair of socks. 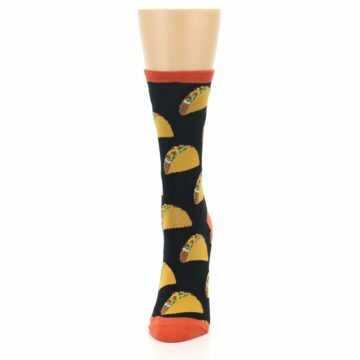 I ordered these socks for my daughters groomsmen because they specifically stated the color wisteria matches the Davids Bridal Bridesmaid wisteria dresses. They shipped quickly and we loved the color and quality. Will definatly order again. I would like to see them available in Jr. Groomsmen sizes...that would have been Awesome! Excellent selection of men’s socks. Wish some of the styles also came in women’s sizes. Loved the narwhal selection. Fast response, good to know they give back, and the personal notes by their person packing it was a nice touch. I have never had anything other than a Great experience with Bold Socks! The hand written note in every purchase is a great touch, as well! 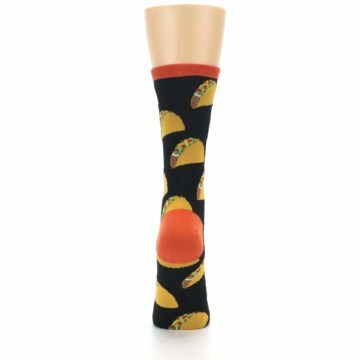 Oh my I cant say enough good things about boldSOCKS... I placed several order, Buying all the groomsmen socks for my son's wedding. With each order I received a had written note Thanking me for my order. One order I forgot to order a pair, I contacted boldSOCKS per email asking if my order had been shipped yet and it had.. they reassured me to place my order for the one pair of sock I forgot to put in my cart and they would refund my shipping fee, and they did just that.. I will recommend them to anyone that buys fun & colorful socks. 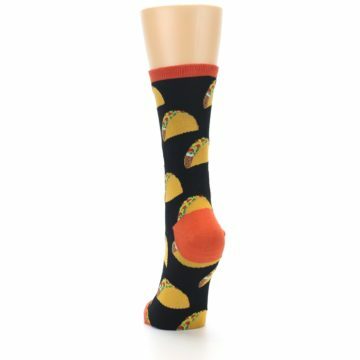 The socks I ordered for my boyfriend came and he absolutely loved them. The shipping was quick and the quality of the product was good. THANKS! I am very happy with their product and their customer service. A recent package was lost and they quickly refilled my order. I often get positive comments on boldsocks when I wear them. Package received! Thank you so much for your prompt reply, good communication and amazing customer service. They are lucky to have you over there. The socks are a belated Christmas gift for a friend and he’s going to really enjoy them. Speaking of socks, I’m sure I’ll put another order in soon. Bold socks did an amazing job, they had fantastic product and an incredible variety on their website. Navigating the website was easy and effortless, check out was simplistic as well. 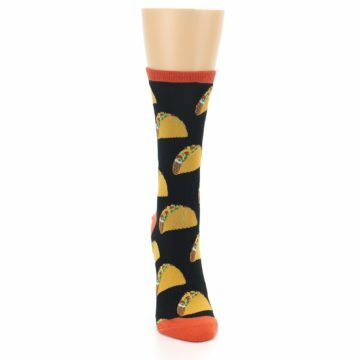 The best part was my socks shipped out extremely fast, same day, and arrived the next day, which made life easy as I was purchasing socks for all of my groomsmen. The quality of the socks were incredible and a real value for how much I paid. I highly recommend Bold Socks to everyone that is/are in the market for unique or even every day socks! Easy to use website. Order arrived quickly. The socks are the best I’ve ever had! I have now placed two orders with boldSOCKS. The first was for a gift sent directly to the recipient, and the second was a gift card, that I had shipped to myself for someone, and it came with a handwritten thank you note. Never see that nowadays. What a great touch, and a great company. Will be back for more. For anyone with large feet this is the place to go!!! Size 13 shoes + stop squeezing your toes into boring socks! High quality cool socks that fit well and were a great price! And they give back by providing clean water in Rwanda!! I will definitely buy from them again!! Easy to order, fast shipping, fun product. They have a great on- line selection and were very helpful answering a question I had. Whether instore or online you get great service and ontime delivery. We recommend boldSOCKS ! They have an excellent choice of socks, was easy to order and I received the socks two days later. I bought the colorful socks for my son who is in college and he loves them. Excellent merchandise, great quality and does not wear out quickly. Delivery was fast. No errors in shipment. Very pleased with the quality of the socks! Customer service was very friendly and quickly answered my question about the shipping delay. I highly recommend this business. Socks look good so far. Difficult to properly order what I wanted, but amazing customer service fixed it. Product designs are great, love the charitable aspect of the business and website is great looking/easy to use. Amazing selection of socks for those with larger than normal feet. The socks were delivered quickly and packaged in recycled material that was recyclable again. A personal note was included with the order which was also a nice touch. Will definitely order from boldSOCKS again! easy to use, and the socks look fun- although they are a Christmas gift, so I'll let you know how the receiver likes them! Fast shipping, accurate (I ordered 7 different pairs of socks) and a friendly note to boot! I only have positive things jto say about my purchase. boldSOCKS prepared my 8 gift boxes correctly with 3 pr of socks per each box, the order shipped timely and the socks are cuter in person than online. I am happy I found boldSOCKS and they have made my Christmas giving that much more enjoyable. Thank you boldSOCKS for your stellar product offering and service. What I ordered in this shopping experience for what ever reason, did not meet the description, boldSOCKS saw to it very quickly and professionally that our concerns were addressed with 100% satisfaction. We will shop again! Always easy. Always positive. Customer service was needed and they were a great help. Order was handled perfectly and delivered as promised. Socks so far are wearing well and coming out of the wash sized. the same. One pair of socks were tighter right out ion the packaging that it was tough to get over my instep. It might be a quality control issue, but was better after a wash. I guess I stretched it out. Lots of selection, and love that the company promotes ethical business practices. Watch the fabric content if you’re looking for comfort though. Some of the blends are less comfortable to wear than others. Really great customer service experience, especially when the issue was my fault. boldSOCKS is a winner in my book- first time purchase for a gift but won't be the last. 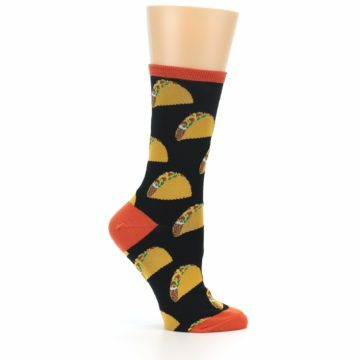 We got our delivery this weekend and I am very pleased with all of the socks. I ordered through your company after being disappointed from a large order I made from a competitor. The quality of their socks were frankly embarrassing and the personalization looked to be an iron on patch. The unfortunate thing was they were non refundable so I am out a lot of money. That is why I was nervous about ordering socks again. Your socks are great quality and I will be proud to give them to my corporate sales directors for Christmas. In addition, one of your other competitors was only going to monogram one sock per pair. It was going to cost 5.00 per sock to have them both monogrammed which is why I ended up ordering through you. Thanks for the great service and for producing a nice product. I will recommend you to all of our friends. Easy to navigate the site, fast checkout, and the promo code worked. Free shipping. What's not to like? Products are great. Service was fantastic, received order quickly. I have bought from Boldsocks before, always with the same results. Many products from which to choose. Typical online checkout experience. Fantastic socks for my big footed son!! Size 16 is hard to find and he is thrilled with the quality and fun styles! Very Happy Big Foot at my house. Socks are fine, shopping experience was good too. Socks made it thru one wear before having two holes in the material. boldSOCKS is the best. 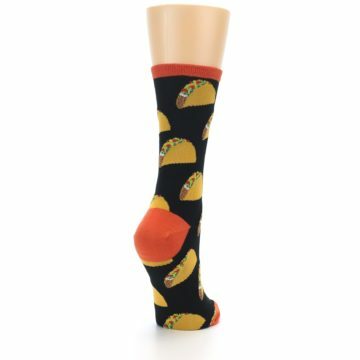 Not only are their designs awesome, but the sock quality is fantastic. I have a size 14 shoe so finding socks that fit well are hard to find. boldSOCKS has a huge selection of socks my size and they always send a written note with each purchase. You can tell they really care about their customers! This is my second order from boldSOCKS! WE LOVE These socks! They arrive so fast, and we even received a little personal note! ALSO..a portion of the sale goes to clean water... you should buy socks from these people!!! My husbands feet get all sorts of compliments now!! Thank you so much for your help in getting him his gift on time! As always, boldSOCKS' customer service is outstanding. I AM ridiculously in love 😍 with the socks I purchased... do you suppose that makes me certifiably nuts?.... I think 🤔 NOT!! I AM utterly impressed with your business ethics and the way you apply it! Included was a handwritten card with a photo and hand written note from Michaela.... to say I’m astoundingly impressed is such a huge understatement!! I will do business with you for a long time! I’m purchasing today for my daughter and son-in-law. Thanks so much for sending the e-gift certificate to my son. I just got a text from him and he was very happy to get it! He's crazy about super colorful socks, particularly ones with animals on them -- so your website is a big hit. And it's wonderful that you contribute money to efforts to provide safe drinking water to African communities - that is very cool! I am so lucky to have found a customer focused company. All orders, including custom prints and labels, shipped within one to two business days. Standard flat rate shipping in the USA: 3-5 business days. See shipping information. We are a small company that cares about your satisfaction. If you are not happy with your purchase, contact us to return unworn socks in original packaging and our team will take care of it. See entire return policy.